These lucky rabbit foot key chains are available in dyed colors only. You can specify the specific colors you want or we can send you assorted dyed made up of the colors listed below. These are NOT real rabbit feet. 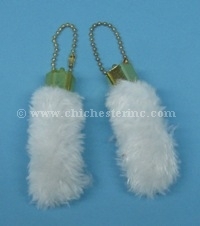 We also have REAL rabbit foot keychains. The rabbit feet are 2.5" to 3" long. 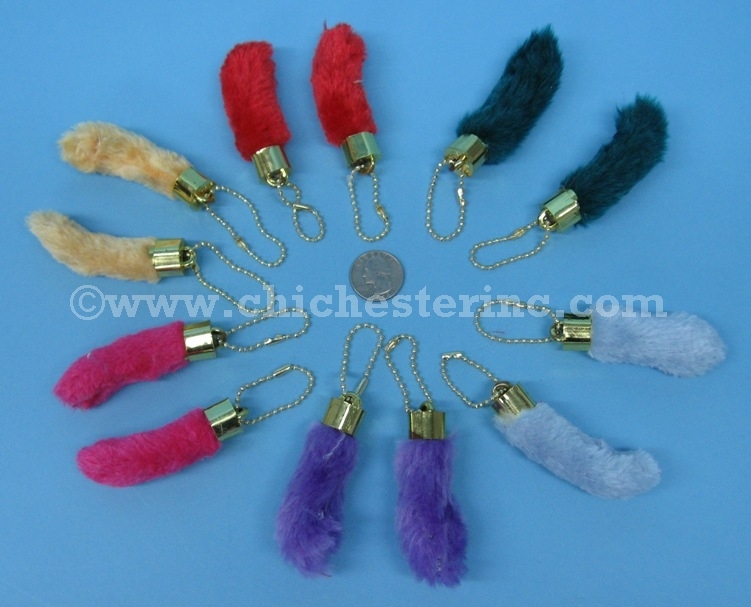 The rabbit feet are attached by plastic caps to a gold colored chain.